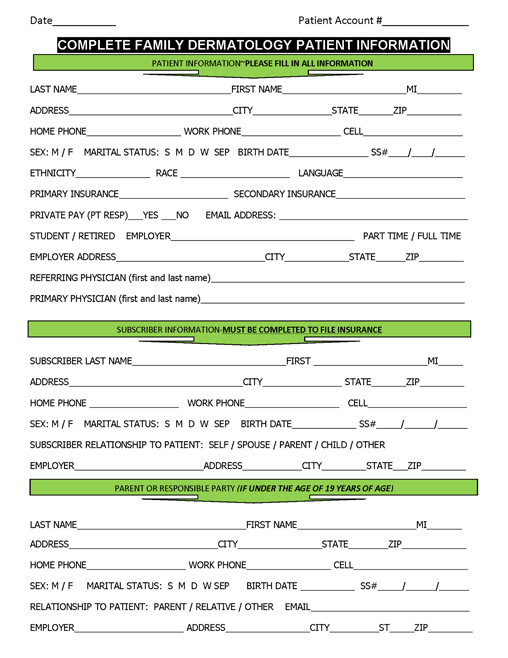 We ask new patients to please fill out the forms below before coming into the office. This will help in making sure your visit to Complete Family Dermatology is swift and efficient. Please be sure to read our list of guidelines and policies concerning no-show appointments, cancellations, and late appointments. Please contact our offices if you have any additional questions and we look forward to seeing you soon. 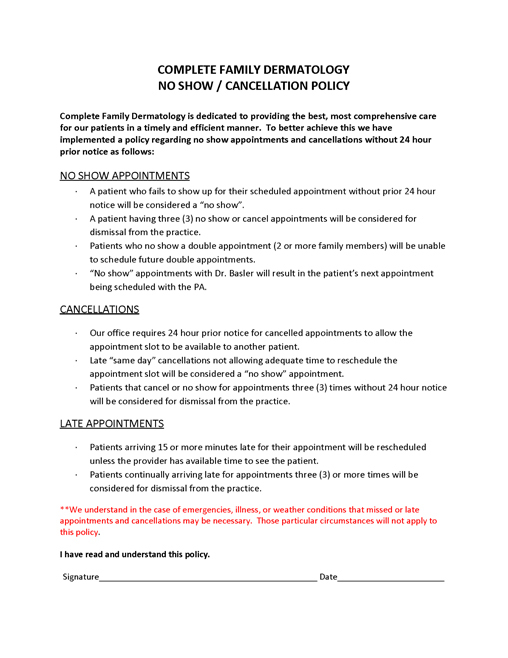 To achieve our dedication to providing the best, most comprehensive care for our patients, we have implemented a policy regarding no show appointments and cancellations without 24 hour prior notice.